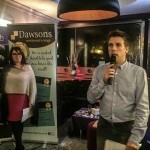 Dawsons Property has helped to raise £2,675 for a housing charity with a special fundraiser at the Rose Indienne in Swansea. 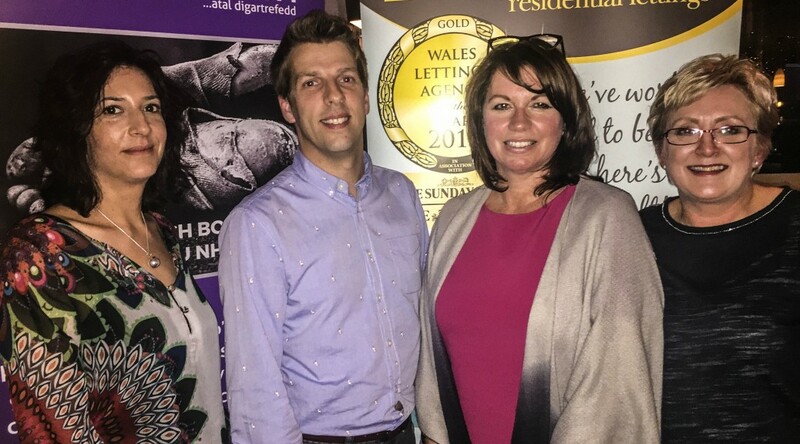 The leading estate agent has been involved in a Clash of the Corporates event over the past month with 20 companies across South Wales raising money for homeless charity The Wallich. More than 100 people sat down for a top-class Indian buffet at the Rose Indienne followed by a raffle and auction. “It was a fantastic occasion and to raise £2,675 on the night was a brilliant effort by everyone involved. A big thank you has to go out to everyone who came along to support,” said Jo Summerfield-Talbot, Dawsons Director of Residential Sales. Among the lots in the auction were a signed Swansea City shirt and Lukasz Fabianski’s signed goalkeeping gloves. 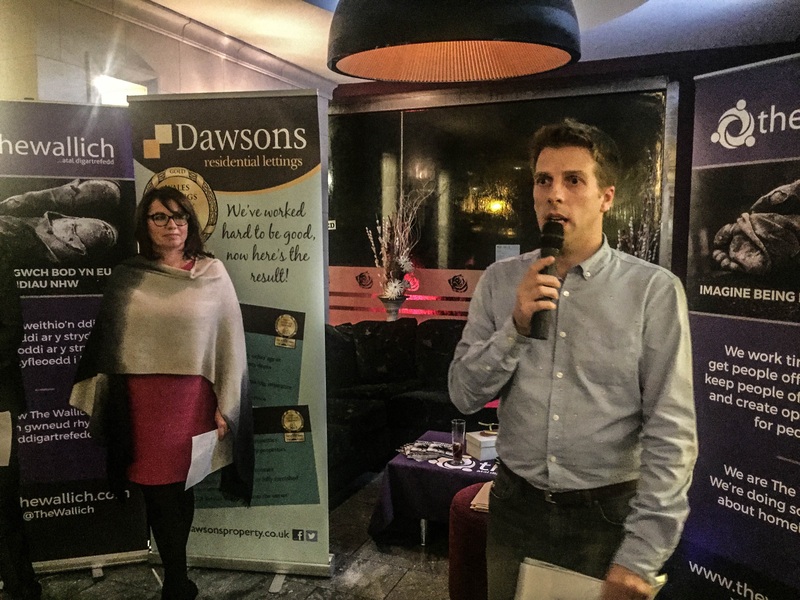 “It is hugely important that we get this corporate support and it’s huge thanks to Dawsons for all their efforts in raising all this money,” said Jan Balsdon, Director of Fundraising and Participation at The Wallich. The Clash of the Corporates event continues until October 31st when all Dawsons branches will be involved in a Halloween fundraiser. CAPTION: L-R Marcia Williams, Private Rental Sector Manager at The Wallich, Ricky Purdy, Director of Residential Lettings at Dawsons, Jan Balsdon, Director of Fundraising and Participation at The Wallich, Joanne Summerfield-Talbot, Director of Residential Sales. Estate agent Dawsons has joined forces with south Wales public relations company, Channel Communications to spread the word about the company’s achievements and services. Channel Communications, run by experienced former journalists Richard Thomas and Jenny White, specialises in all aspects of PR, from social media to press releases, events and website design and management. Senior Partner at Dawsons, Chris Hope, said the collaboration is ideal for Dawsons, a leading independently owned estate agents with eight sales branches and five rental offices throughout south Wales. “We have worked with Richard before so he and Jenny taking over our PR was not a leap in the dark at all,” said Chris. Channel Communications look after all Dawsons’ PR needs including press releases and the handling their social media accounts and the content which goes on their website. 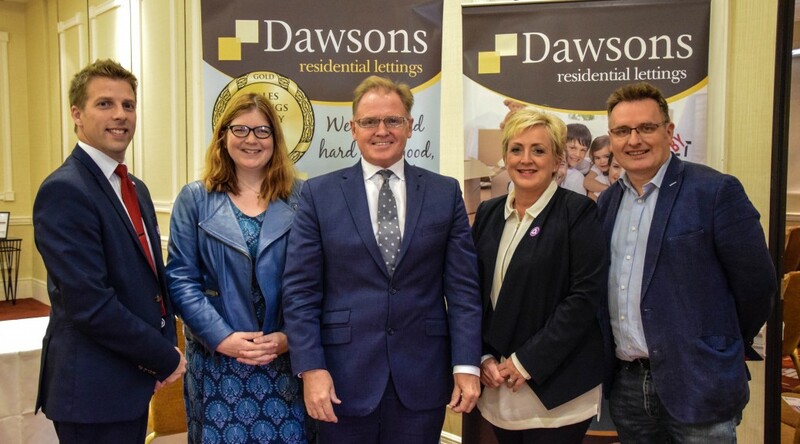 CAPTION: L-R Ricky Purdy, Director of Residential Lettings at Dawsons, Jenny White, Partner at Channel Communications, Chris Hope, Senior Partner at Dawsons, Joanne Summerfield-Talbot, Director of Residential Sales, and Richard Thomas, Partner at Channel Communications. Curious about buying or selling at auction? Here’s a glimpse inside our most recent property auction, plus some tips for buyers.